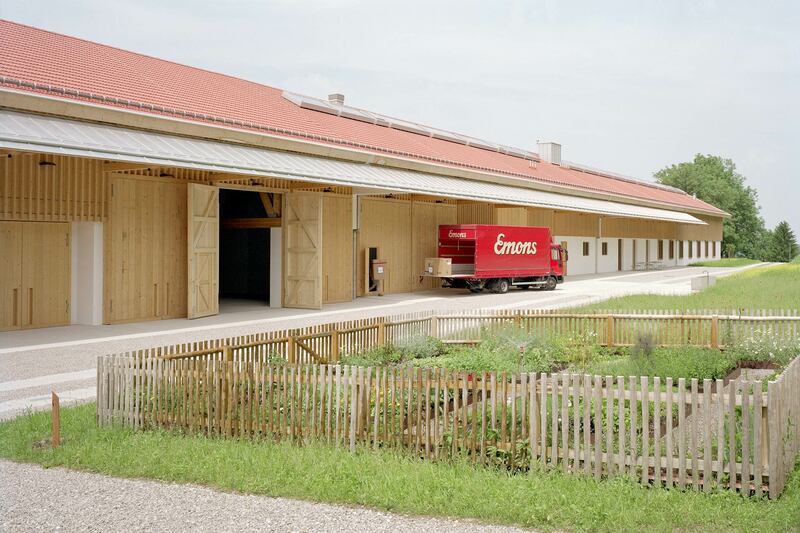 The goal of this project was not a common one: An existing farm in the foothills of the Alps was to be converted into a sustainable and largely self-sufficient plus-energy building complex. 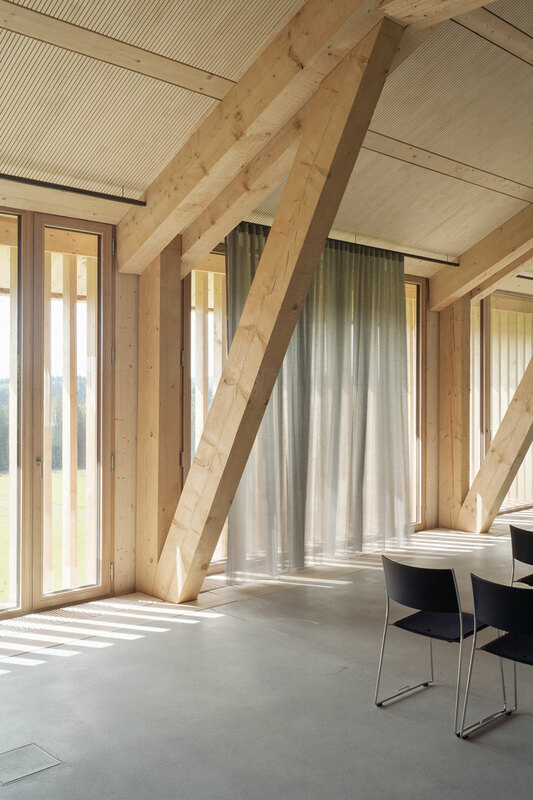 The client is the Stiftung Nantesbuch, which has set itself the task of carefully building something new that takes the utmost consideration of the surrounding nature while preserving the already existing structures. The goal is to develop projects relating to art and nature in this space. 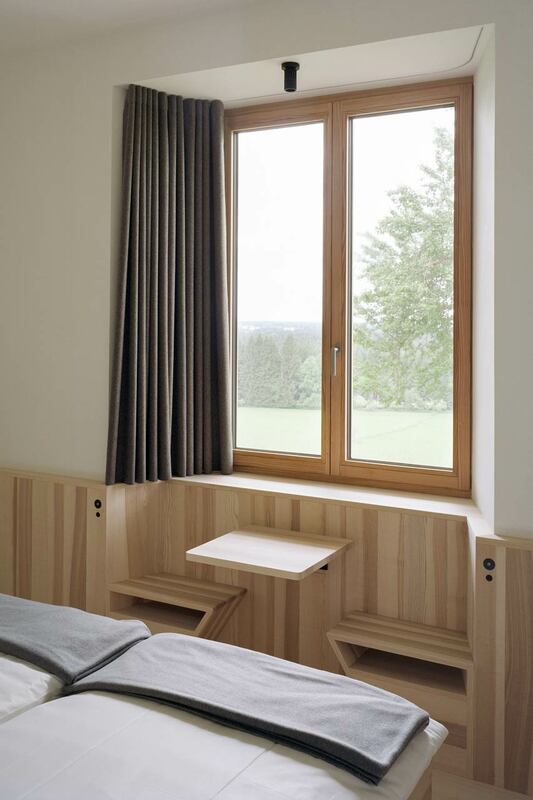 The “Lange Haus“ (long house) is to use regional regenerative energy sources, making it completely self-sufficient. The seminar rooms, kitchen and communal spaces should have an inviting, comfortable atmosphere: The thermal and visual comfort must meet high standards. Transsolar took this into consideration. Residue wood from the nearby 100 ha large forest will be used as a sustainable energy resource. A combined heat and power plant (CHP) generates heat (55 kW) and electricity (20 kW) out of wood chips by wood gasification. A PV system (40 kWp) on the roof of the energy center building also generates electricity. Excess electricity charges an on-site storage (40 kWh LiFePO4) to balance the electricity consumption of the building complex and also feeds an electric charging station for e-mobility. Further excess energy is routed into the public electricity grid as "feed-in". The wood-driven power plant covers the base load and is operated on demand; it runs only at times when heat is needed for building heating and / or woodchip drying. Peak loads on very cold days are taken on by two woodchip boilers (180 kW). The cooling system of the seminar building is connected to 20 ground probes, each with a depth of 100 m. There is no electric chiller. In total, the energy concept leads to an excess of energy. The "Lange Haus" therefore is a plus energy building in terms of consumption of primary energy. In case the public power grid fails, the electrical load and source management automatically controls the power plant, solar power system (PV), electricity storage (EES) and limits the consumption. The estate is then an "energetic island"; lights will not go out and nobody must feel cold. The building is in line with the objectives: it is sustainable, self-sufficient and due to regenerative resources, heat, cold and electricity are always available – and it even generates surplus for credit.